Plainly put, winter is magical in B.C.’s coastal mountains. If you’re asking us, there’s no better way to adventure through the wilderness than on snowshoes. What started over 4,000 years ago out of the basic need to explore new territories has now become an increasingly popular recreational activity. 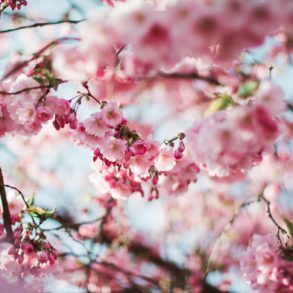 It’s the perfect way to fill up on crisp mountain air and meander through the forested winter wonderlands that consume the Sea-to-Sky region. There’s so much terrain sitting on our doorstep just begging to be explored. Throw on a pair of snowshoes and see where your adventure takes you! As with any off the grid adventure, venturing into the backcounty can be dangerous. Now, factor in winter conditions. Rapidly changing weather and risk of avalanche post a constant danger. Be prepared. Be avalanche aware – check conditions before you leave. Know the warning signs and always remain in visual contact of your partners. Reliable communications: The trails listed below will lead you through areas of spotty-to-no cell coverage. SPOT Satellite GPS Messengers can send emergency responders your GPS coordinates so that you can easily be located in an emergency. It can also let family and friends know you’re OK when you just want to check in. Better safe than sorry. Pack proper gear, wear layers and reflective clothing. Know when sunset is, especially if you do not intend to winter camp. Carry rescue equipment and know how to use it. If appropriate, know how to self-rescue from a crevasse. Never go alone and pick partners who have skills, fitness and experience. 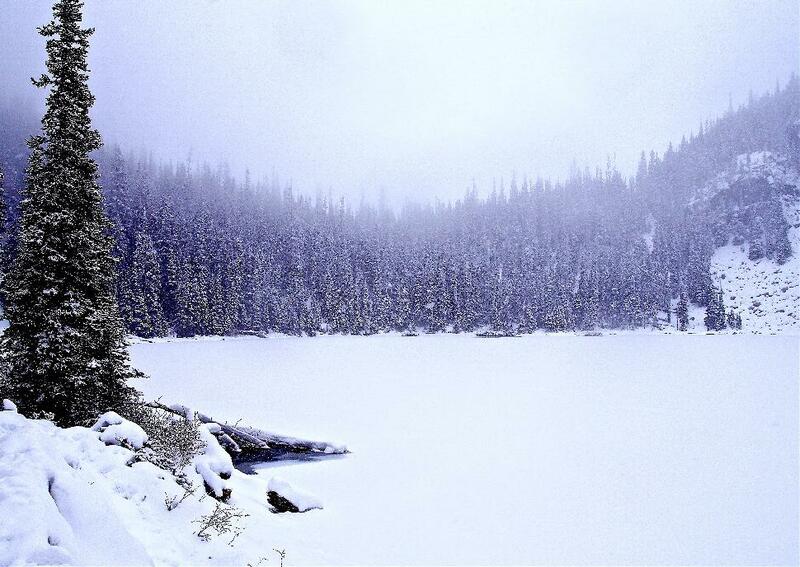 Joffre Lakes is one of the most picturesque spots in the Sea-to-Sky region. Those who venture to the Middle and Upper Lake will find stunning views of the glacial peaks and the surrounding mountains. Their beauty is illuminated by the low winter sun and the U-shaped valley filled with an expanse of serenity and silence. 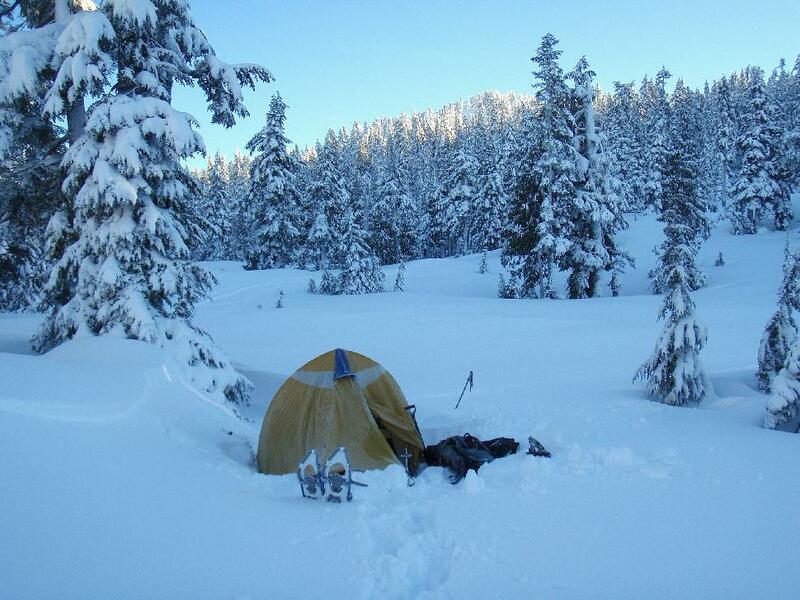 Winter camping: Wilderness camping is permitted in winter, however the summer camping area, which lies below Matier Glacier, is not advised due to the risk of avalanches. Many choose to camp on the frozen lake instead. Expect to see few people staying over in the winter as conditions are harsh. Amenities: Two pit toilets can be found by the parking lot and one by Upper Lake. A bear-proof cache is located nearby the campground. Details: Trailhead sits next to Duffy Lake Road, 30km from Pemberton. Follow highway #99 towards Lillooet until you reach the parking lot. The lot will likely be buried under metres of snow, but a small area is usually plowed out. Snow tires are essential and a 4×4 is advised as the road is steep and icy. The well-marked trail begins at the bottom of the lot and the first lake is just 3-minutes away. Pack warm clothing and be properly equipped as there’s no cell coverage in the park. Dogs are permitted but must be kept on a leash. 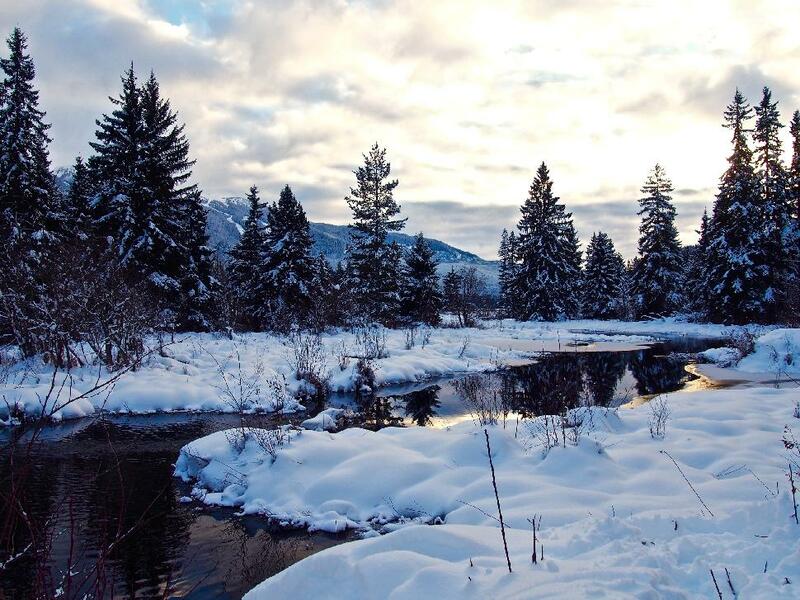 Located at the southern end of Whistler, the Cheakamus River offers the feeling of unspoiled and remote wilderness. Stroll through the alpine and explore the depths of the untouched snow along the trail. Descend through the forest, over the suspension bridge and pass the flowing Cheakamus River on this light but picturesque trail. Amenities: No facilities on the trail, however there is a coffee shop at HI-Whistler a few minutes from the trailhead. Details: Trailhead is easy to find and is located 10 minutes south of Whistler Village. The road will be impassable in winter but you can park up on the side and snowshoe up Cheakamus Lake Road until you get to the passing bridge. Cross the bridge and find the trails on the other side of the river. Dogs are allowed on this trail. With a well-marked out route and spectacular views, snowshoeing the Elfin Lakes winter trail is a long yet rewarding adventure. The popular route offers stunning vistas of the surrounding mountains including the prominent diamond-shaped Atwell Peak and the spectacular Mount Garibaldi. Winter camping: Elfin Hut sleeps 33 people and is equipped with propane heaters, wash sinks and lights. It costs $15 to stay the night, which can be paid at the trailhead or online. It’s advised to bring a tent as bunk beds get snapped up quickly, especially on a weekend. 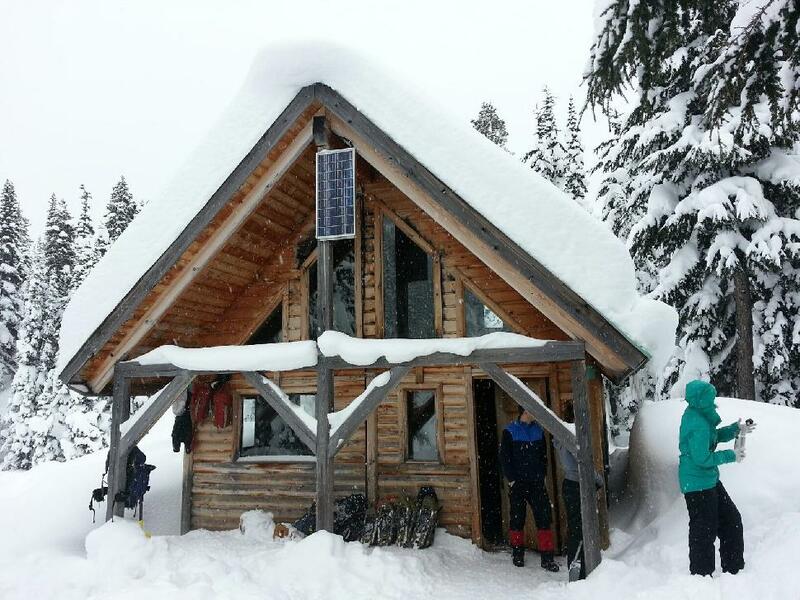 Amenities: Red Heather Hut located 5km along the trail is a great place to warm up and has washroom facilities. Elfin Lakes cabin has gas stoves and outhouses in close proximity. Details: Trailhead can be found 15 minutes from the Sea-to-Sky turn off by Canadian Tire. The trail begins at the Diamond Head area in Squamish and is mostly uphill, but marked out with orange poles. Snow tires, chains and a 4×4 may be required due to the challenging conditions and icy gravel road up to the trailhead. Dogs are not allowed within Garibaldi Park. Follow Cerise Creek through the pristine forest and catch incredible views of Mount Matier, Joffre Peak and Vantage Peak. This popular winter trail is a heaven for mountaineers, cross-country skiers and snowshoe enthusiasts as the area offers endless stretches of exploration through the backcountry. Winter camping: Keith’s Hut sleeps 20 people across two-stories and was built in 1989 in memory of the mountaineer who died on Mt. Logan. A $10 donation is customary for an overnight stay. The hut is incredibly popular on weekends, so it’s worth bringing a tent in case you don’t get a spot. Amenities: The cabin is equipped with a stove and outhouse. Details: Winter access can be gained from Duffy Lake Road heading towards Lillooet, located shortly after the Joffre Lakes parking lot (see directions to Joffre Lakes above). You’ll see a marker for Cerise Creek at the start of the trail, next to an ‘Avalanche Area’ sign post, but it can be tricky to spot. Access is easy and straightforward once you’re on the trail heading towards Keith’s Hut, and there are a number of other trails that run from the cabin. Cell coverage may be limited. The Flank Trail offers breathtaking views of Whistler and Blackcomb mountains and stretches 40km across the Whistler Valley. The area isn’t to be conquered in a day, rather explored in small chunks. The endless trail takes you past beautiful vista points and the impressive Alta Lake that sits wedged between the coastal mountains. Winter camping: Cliff top clearings hidden along the Flank Trail are perfect for camping and offer stunning mountain views. Amenities: Washrooms are available at Rainbow Park by Alta Lake. There’s an outhouse where the Flank Trail and Rainbow Trail meet, but otherwise, amenities are limited. Details: Trail stretches from Whistler’s Olympic Park and ends north of Whistler by Ancient Cedars and Showh Lakes. The trail meanders through snow-weighed forests and past rock cliffs, offering beautiful views of Alpha Lake, Nita Lake and Alta Lake. It’s easy to reach the trail with snowshoes from Rainbow Park. Don’t miss out Rainbow Falls, a gushing waterfall hidden behind pillars of snow. Most of the Flank Trail is dog-friendly apart from a few clearly marked areas. Have you snowshoed any of these trails? 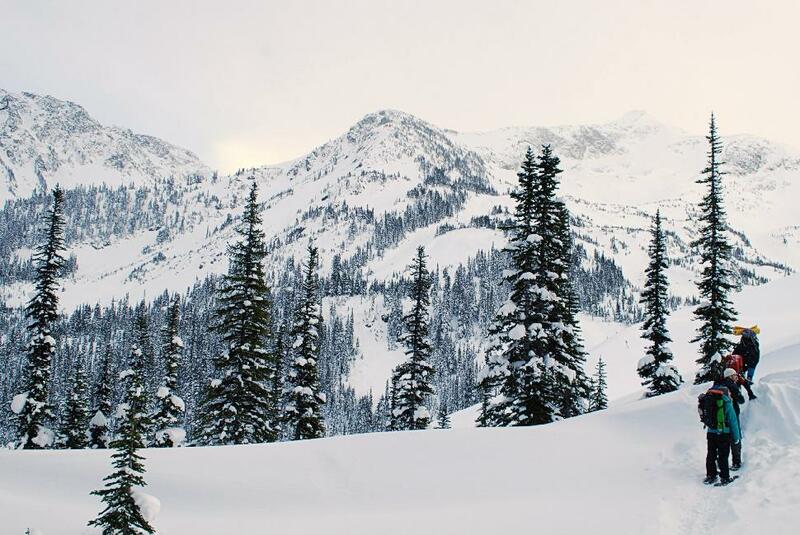 This Sea-to-Sky snowshoeing round up was brought to you by Globalstar Canada Satellite Co., distributors of SPOT Gen3, SPOT Trace and SPOT Global Phone. SPOT will keep you connected to the people and things that matters most, including emergency services, using the world’s most modern satellite network. For peace of mind wherever backcountry adventures take you, including beyond cellular, there’s never been a better time to pick up a SPOT satellite device. For SPOT product and pricing information visit findmespot.ca.